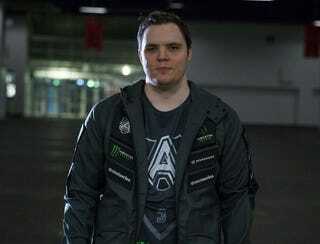 Dota 2 commentator Henrik “AdmiralBulldog” Ahnberg was tapped to provide live commentary for The International 7, one of the world’s biggest annual esports tournaments. This year, TI7’s prize pool climbed to a historic $23 million, the largest in esports history. Unfortunately, Ahnberg won’t be at the event after being turned away at the United States border. After sending in his documentation, Ahnberg claims he “heard nothing more from Valve or PGL” and “assumed they reviewed it and thought, ‘It’s all good.’” Unfortunately, all was not good. After a 10-hour flight from Sweden, US customs asked Ahnberg about his trip, and he told them the truth. In response, they told him that he would have to fly back to Sweden. Ahnberg didn’t have the right kind of visa. In his words, “The reason it was denied was because to work in the US you need a work visa. I asked them about people who travel under [the] ESTA waiver program, and they told me that is also not acceptable.” Unfortunately, it’s too late now for Ahnberg to apply for the right kind of visa in time to attend and commentate at TI7. Compete has reached out to Henrik Ahnberg, as well as to Valve, for further comment on this situation and will update this story upon response.